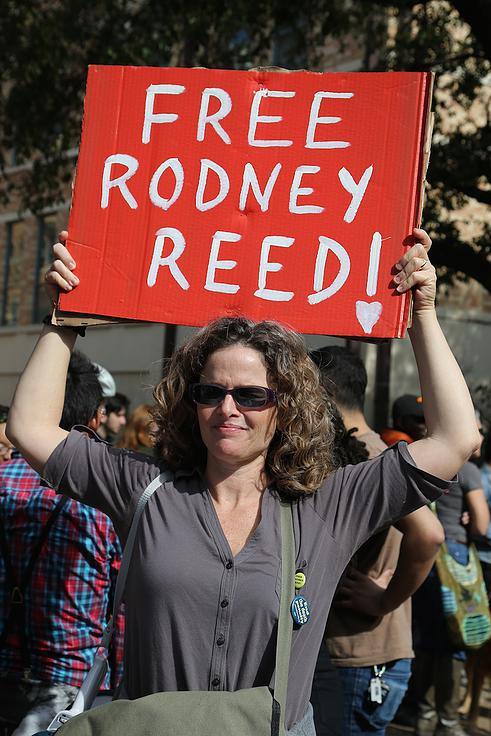 Rodney Supporters join the Millions March Texas in solidarity with #BlackLivesMatter | Free Rodney Reed! Supporters from Austin and Houston joined the Millions March Texas demonstration on Saturday, Jan. 17 at the University of Texas at Austin. Hundreds of people rallied at the Martin Luther King, Jr. statue before marching to the Texas State Capitol, ending inside the capitol rotunda. Click the link below for footage and an interview with supporter Judy Morgan. 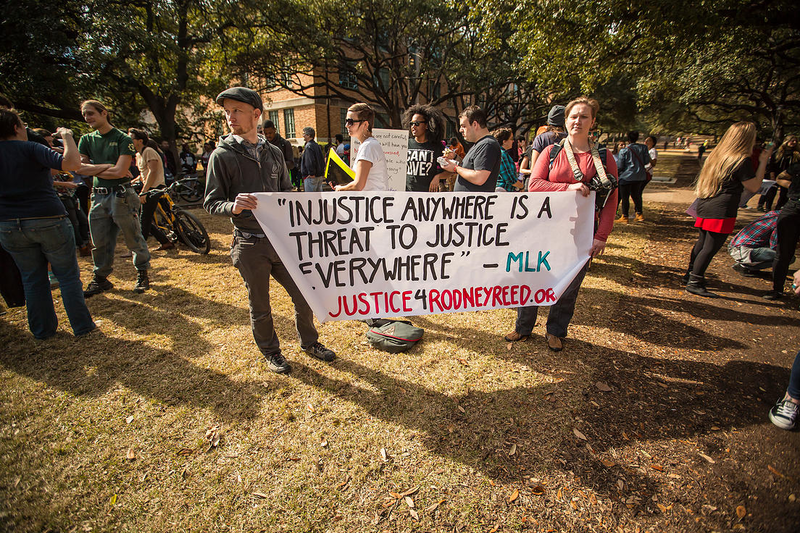 Supporters at #BlackLivesMatter march at UT Austin, Jan. 2015. This entry was posted in Protest and tagged BlackLivesMatter, Justice4Rodney, TV coverage, University of Texas on January 22, 2015 by justice4rodneyreed.